The ninth season of Curious George, the PBS KIDS hit series, continues with a new episode full of love and curiosity. 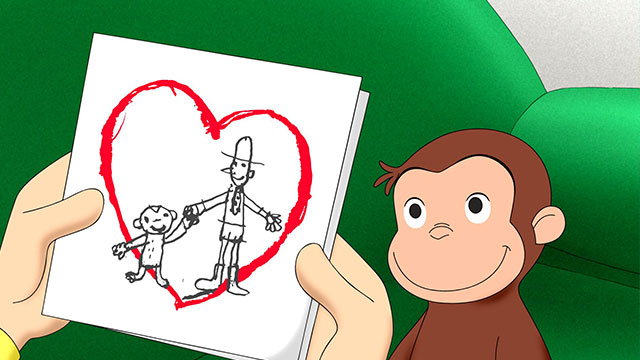 In “Happy Valentine’s Day, George,” Curious George wants to make his friends the best Valentine’s Day card ever, but even with four paws, it takes a long time to create homemade cards for everyone. Using sponge shapes, red paint, and a waffle iron, George creates the first ever monkey Valentine’s printing press! 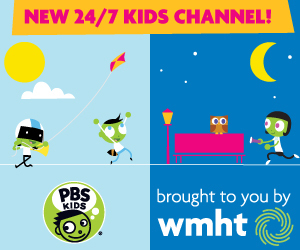 Curious George airs weekdays on PBS KIDS. For more monkey fun, parents can access a variety of fun and educational resources, including games on the five senses like “Roller Monkey” and “Cows Don’t Quack!” on the Curious George website. Click here for a great variety of more fun games, special activities, printables, and videos!